Dr Riley is a epidemiologist who has a strong grounding in nutrition science. 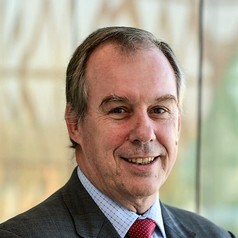 Before joining the CSIRO, he held the roles of Nutrition, Regulatory and Policy manager at Dairy Australia, and lectured in the subject as an Associate Professor at Monash University. He is a past president of the Nutrition Society of Australia and is an Honorary Life Member of Nutrition Australia.